Mateo Gil made a name for himself firstly as the writer of Alejandro Amenábar - he co-wrote such films as Thesis, Open Your Eyes (later remade by Cameron Crowe as Vanilla Sky) and The Sea Inside - but he has been directing his own feature length films for quite a while now. 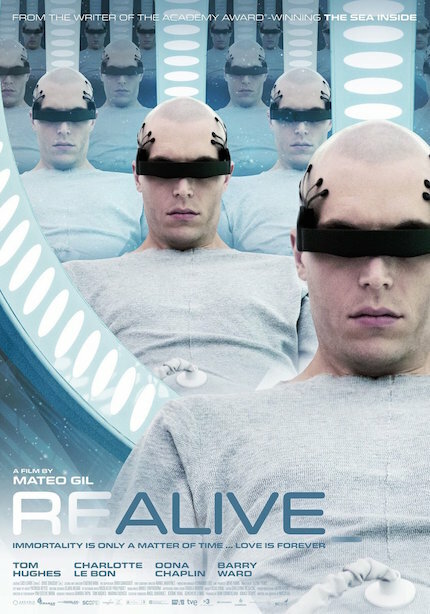 His latest effort, Realive (aka Proyecto Lázaro), is in the science fiction genre and follows the story of a young man named Marc (played by Tom Hughes), who makes a very tough and unique decision once he learns that he has terminal cancer: to kill himself before dying due to the disease, and then freeze his body hoping that he can be resuscitated in the future (a process known as cryonics). Marc’s plan actually comes to fruition in 2084, though the film explores a completely imperfect scenario for the protagonist. Since Realive opens in the United States on September 29 - and will be available on VOD and Digital HD on October 3 - I interviewed writer/director Mateo Gil. Check out our conversation below! 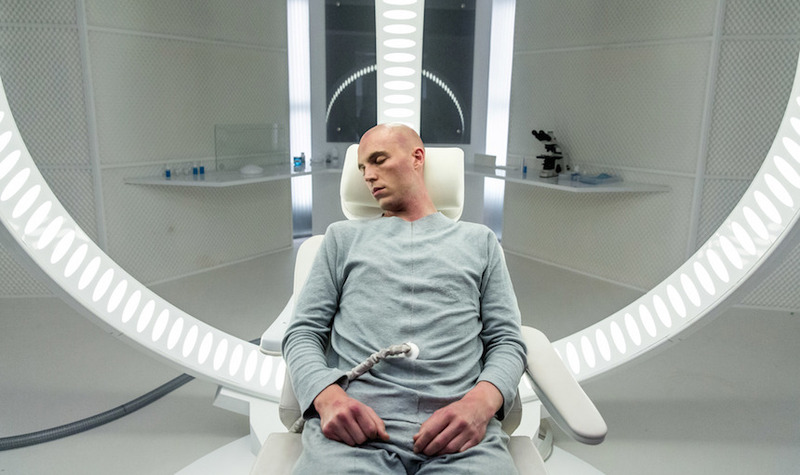 ScreenAnarchy: REALIVE is a film with many ideas. Which was the first one that you were interested in exploring? Mateo Gil: The first idea of the story came to me when I was writing, many years ago, Open Your Eyes with Alejandro Amenábar. Cryonics appeared there and during the discussions I had I couldn’t stop wondering about the people’s interest in resuscitating persons from today in the future. That was one of the main questions. The other one was: why resuscitating in a time when you don’t know anybody? You don’t have a job, you don’t have a function, your skills are antiquated, and you don’t have a family. Aside of those questions, there’s much more behind the film. My own fear of dying or the desire to accept this life as it is. A lot of abstract things were my motor. You wrote the script from the protagonist’s perspective. What was the most fascinating aspect while imagining the scenario of a man coming back from death? When I was writing the script I wondered if a producer was going to accept making a film about a guy who dies and resuscitates in the future. But then I didn’t care about that because I really wanted to make that journey. The most impressive aspect of the journey is obviously dying, the way he dies in order to be resuscitated in the future. From that you start giving sense to everything else. What was the main challenge to sell an original project like this one in the age of the remake/sequel/reboot? Right now there’s confusion because you don’t know what the audience is looking for and the diffusion channels are changing. But it’s also true that there’s a niche for movies that can’t be very expensive to produce and that are clearly part of the science fiction genre. If you stick to that niche, and the movie is not that expensive, you can raise the project. The key of my movie is that it cost less than what it appears. That’s why we could make it from Spain, shooting in the Canary Islands instead of California, knowing our limitations. Like I said, when I was writing it, I wasn’t sure if I was going to be able to do it, but I just wanted to write it. The Spanish title [PROYECTO LÁZARO] is a religious reference. You also use some images of Martin Scorsese’s THE LAST TEMPTATION OF CHRIST. Can you comment on those decisions? If you are part of a Catholic country, like yours [Mexico] and mine [Spain], it’s inevitable not to make a reference to Lazarus if you are talking about resurrection. That reference was inevitable. And the protagonist’s memories of watching the movies of Jesus Christ is a sensation I had. It’s also part of the motor behind this story. I recall the movies during Holy Week, all the biopics of Jesus Christ, I think I have seen them all. Do you think it’s really viable the resurrection through science in the future? 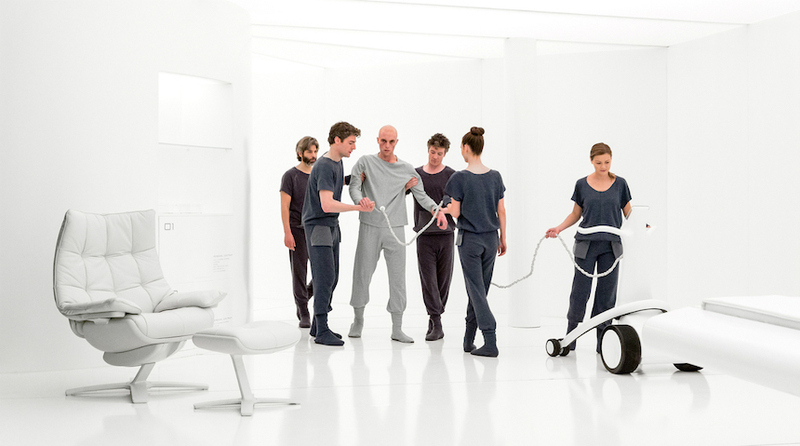 I think in the future there’s going to be medical avances that we can’t even begin to imagine now. Cryonics - freezing you body after dying with the confidence that you will be resurrected in the future - is nothing but a vehicle to tell the story; I just wanted to put a character in that future. I’m not attracted to cryonics, I don’t really believe in that because if there’s the sufficient technology to revive a corpse from today - in the primitive conditions that are freeze nowadays - the frozen body wouldn’t be really functional. I would definitely not do it! I don’t trust in it. But talking about organs cloning or other things that are mentioned in the movie, I’m sure science will achieve incredible things in the near future. There’s a moment of reflection for the main character, in which he realizes he lived his best moments until he knew he was going to die. Why do you think sometimes it’s very difficult to enjoy and make the most of the present? Two reasons. One is something purely evolutive: we are made to survive and that prevent us - or at least makes it very difficult - to stop at certain things. The other reason is that we live in a terrible maelstrom of capitalism and consumerism; that makes us run and run, and life goes by even if we don’t realize that. Only when you get hit really hard, like the protagonist who is told that he is going to die, is when you wake up. But I don’t think you have to be a martyr about this because that’s just the way we are; we don’t have to fight against our nature. But yeah, it’s true that we live without really thinking about it, we don’t like to think that this is going to end sometime. Why do you think there’s an obsession for immortality? There would be a thousand factors. We are afraid of dying and that leads us to desire a continuation. I think our biologic life, given to us by evolution or God or whatever, has become too short due to our mentality. Life could be very long but today there are many stimulants and possibilities that it becomes short. It’s terrifying to see how it goes so fast and there’s not enough time for anything. We can’t even watch all the movies we want! The past that we see in the movie is today. I just wanted to tell what was important for him, and everything that was important had to do with other people [including his on and off girlfriend, played by Oona Chaplin]. If I look at the real essence of the film, it’s about identity. This is not a film about the future, I didn’t want the future to become the main attraction. For me everything was an instrument to pick up a character, remove it from his life and place him in a unknown place; he doesn’t know a thing. I was asking, what makes us who we are? If 80% of your body is regenerated thanks to medicine, if the majority of your brain cells are new, if a lot of things have changed… there’s a moment in which he basically sticks only to his memories, so I ask, what if those memories are missing? You're not you anymore? In that search for what it makes us who we are, the movie happens.